Innovative Language Learning Blog» Blog Archive » Innovative Language 101 Finally On Android! Learn 28 Languages On The Go. « New App Update! All 31 Innovative Language Sites Now On Your iPhone/iPad! Innovative Language 101 Finally On Android! Learn 28 Languages On The Go. If you’re not mastering language on the go with new Innovative Language 101 App, now there’s no excuse. And Android users, this one is especially for you. The Innovative Language 101 App is FINALLY on Android and Kindle Fire. Click here to download Innovative Language 101 for the Android! Click here to download the App for your Kindle Fire from the Amazon Store! Get Innovative Language 101 for FREE and master your language anywhere! After downloading, choose your target language from the “Choose Your Language” screen and log in with your login details. You can try any of our 28 Innovative Languages with this App for free! All languages come with a 7-day Free Trial. Available for all Free Lifetime Account, Basic, Premium, and Premium PLUS members. Access the same lessons and features you normally would with your account. This App brings our advanced learning system to your device anywhere you go. What’s Inside The Innovative Language 101 App? Android users, let us know what you think! Download the App and start learning with our fully integrated system. Also, be sure to send us your feedback, suggestions, and of course, report the bugs while we continue improving the App. 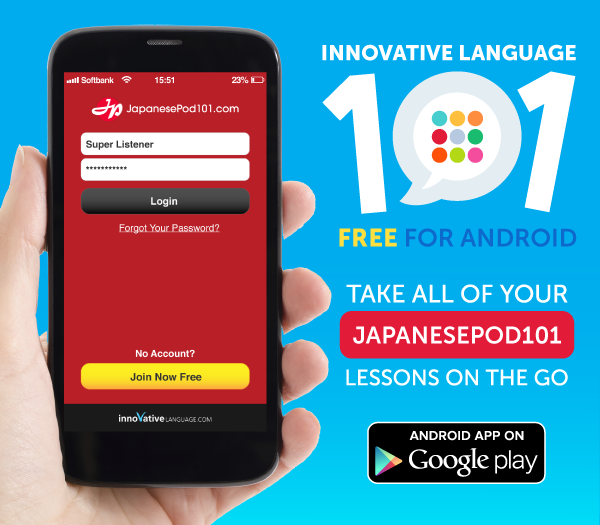 Click here to download the Innovative Language 101 App for FREE! P.S. Master Language on the go with the Innovative Language 101 App for Android, iPhone, iPad, and Kindle Fire! Click here to get the App for the Android, iPhone, iPad or Kindle Fire! This entry was posted on Monday, June 2nd, 2014 at 12:45 pm	and is filed under General Announcements. You can follow any responses to this entry through the RSS 2.0 feed. You can leave a response, or trackback from your own site.